This event has been postponed until a later date. Thank you for your continued support of JLNV events and community programming. 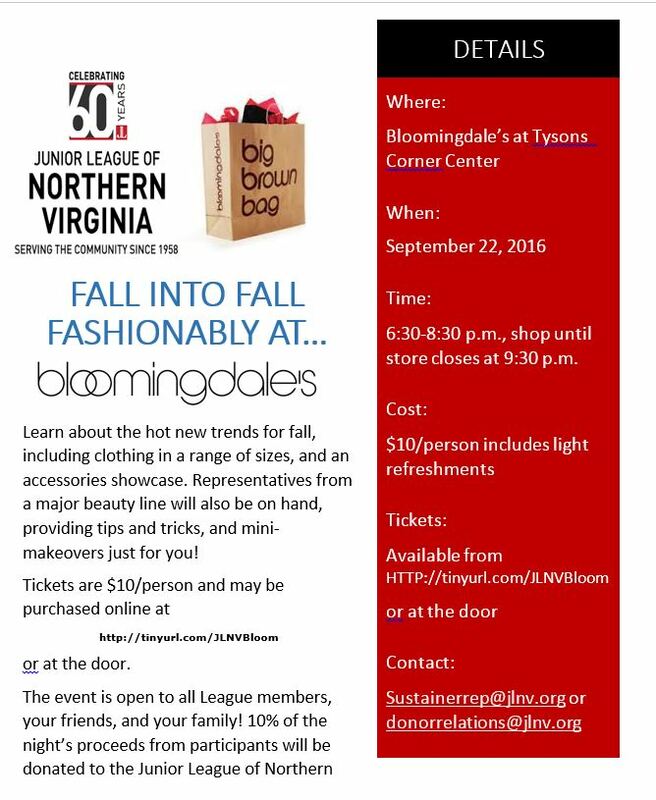 Fall is upon us and what better way to get info on the latest trends and network with The Junior League of Northern Virginia. Proceeds from this event support community programming in Northern Virginia. $10 Tickets may be purchased at: HTTP://tinyurl.com/JLNVBloom or at the door.